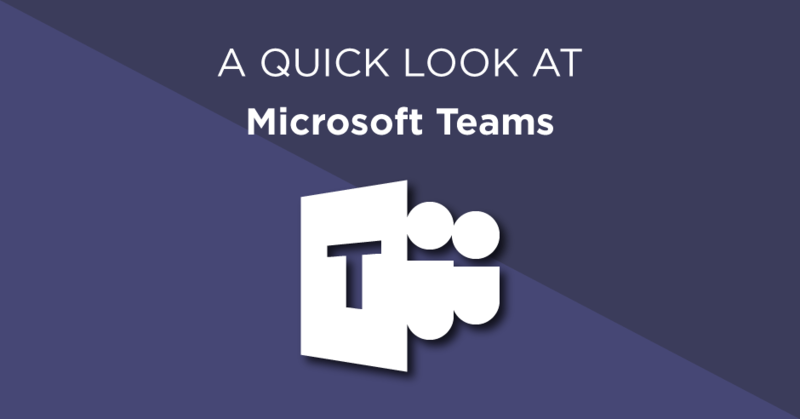 Microsoft Teams is a cloud-based chat and collaboration platform, designed to simplify and streamline communication between employees by offering one centralised place to connect. Instead of relying on clunky email chains, employees can send direct messages to co-workers, set up group chats or organise video, audio and web conferences, all without leaving the platform. And optional integrations (called Connectors) with third-party applications ranging from Salesforce to GitHub to MailChimp. Should I use Teams or Yammer? With there being so many collaboration tools in Office 365, it’s easy to be overwhelmed by the range of options available. At an incredibly basic and simplified level, you should use Teams for sending messages to individuals or smaller, more tightly knit groups and should use Yammer for sending a message or announcement to large groups of people or the whole company. Be aware that this comparison only looks at using Teams’ and Yammer’s messaging functions. When comparing each program as a whole, it’s apparent that they both fulfil very distinct roles outside of their chat features. For maximum business impact you should be using both Teams and Yammer because each one offers various exclusive features the other does not. However, to determine which program to use when sending a message, the above breakdown is a good rule to follow. What are the benefits of Teams for businesses? The core Office file editors (Word, Excel, OneNote and PowerPoint) are all accessible through Teams and files can be opened, edited and shared in a seamless experience without ever leaving the app. Additionally, files stored in OneDrive can be viewed and shared within Teams. With the addition of plugins, the viewing feature can be extended to support additional file formats such as Photoshop, Illustrator and other programs in the Adobe suite. By having the ability to natively work with content, workflows can be streamlined and users can collaborate much easier on documents. By improving the efficiency of your work, you can do more with less time and then utilise Teams’ innate sharing features to make sure what you’ve made gets in front of the right people. Unlike email chains or sporadic messages sent over a range of channels, Teams utilises threaded, persistent chats for communications. This means that people can easily go through the history of a conversation in order to understand the context of what’s happening or double check what has been said. Additionally, adding in new members to a chat allows them to immediately see a history of events, communications and decisions without having to play catch-up. Having a live chat also leads to far more spontaneous and active communication. Unlike with emails where a question can sit unanswered for days, the directness of Teams means it’s much simpler to respond to messages which in turn increases collaboration between co-workers. Teams chats allow employees to quickly exchange information and collaborate with one another on projects. A multitude of bots are available in Teams which fulfil a variety of helpful roles. T-Bot acts as an interactive help feature where you can pose questions about using Teams. StatsBot automatically compiles reports based on data from sources such as Google Analytics or Salesforce and PollyBot lets you create polls for your co-workers. Many bots are available through the in-built ‘store’ and offer further integrations and functionality to Teams. Teams is naturally integrated with other apps in the Office 365 suite such as Skype for Business, Outlook, OneDrive and OneNote. Enabling video and voice calls, meeting scheduling, file sharing and note taking to be done inside the app. The file hub aspect of teams also supports integration with cloud storage outside of Microsoft’s own OneDrive, with it being possible to link Dropbox, Box, ShareFile and Google Drive accounts. And on top of all that, Teams also features third-party connectors which provide integrations for external programs ranging from Adobe Creative Cloud to Google Analytics. Teams supports an array of third-party applications which improve what users can do and share within Teams. Teams includes its own calendar (found under the meetings tab) where meetings can be scheduled, viewed and edited. 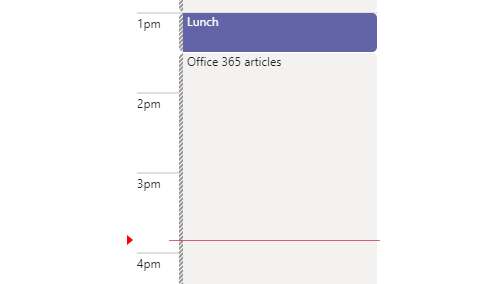 What makes this particularly valuable is that the calendar is synced with Outlook’s own calendar. Meaning any meetings made in Teams will appear in Outlook and vice-versa. Teams is also synced with your OneDrive (found under the files tab), allowing you to easily share and collaborate on any document. These simple integrations lead to a far more cohesive work experience, lead to less duplication and mean you can still use the tools you’re familiar with whilst also benefiting from the range of benefits Teams brings. The Teams calendar is synced with your Outlook calendar to let you effectively schedule meetings. Like the rest of the Office suite, Teams is highly cyber-secure. The software is built to ISO 27001, ISO 27018, SOC 2 and HIPAA standards to keep it regulatory compliant. Additionally, encryption is used for data both in transit and at rest, preventing information from being intercepted and a resulting data-breach. Teams is available on both Windows and iOS desktops, plus has a mobile application for Android, Apple and Windows phones. Furthermore, Teams is accessible through any of the standard web browsers, meaning it can be used without needing to install the dedicated application. Because Teams is available on such a range of platforms – regardless of your business’ current hardware setup, Microsoft Teams will be able to provide value for your business. Moreover, the addition of the mobile applications means remote workers or employees who are often travelling between sites gain just as much value (if not more due to being kept in-the-loop much more readily). If you’re interested in getting Microsoft Teams, it’s included freely within certain Office 365 licenses. If your business is yet to adopt Office 365, see our blog post on the topic to discover some of the great features you’re missing out on. If you already own Teams but want to get more from it, also check out #10SecondTeamsTips where genuinely useful advice and features are highlighted.